Jeannine has been volunteering with Meals on Wheels Riverside for just a little over a year now. 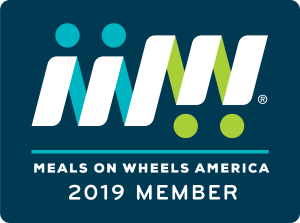 As a Realtor and Broker Associate in the Inland Empire, who also works closely with seniors, Jeannine found Meals on Wheels when she was looking for assistance for a client of hers who needed help getting fresh meals every day. She connected her client with our program and soon fell in love with it herself. She has been a dedicated volunteer ever since! Apart from volunteering, Jeannine is a true advocate for MOWR! She says, "I tell everyone I know about Meals on Wheels". Not only does she spread our mission across the Inland Empire, but she even donates a portion of all her home sales to Meals on Wheels Riverside! She says her favorite part about delivering meals is the excitement and appreciation she receives from our clients when they open their doors and see a MOW volunteer. Thanks Jeannine for your support and dedication to senior wellness!